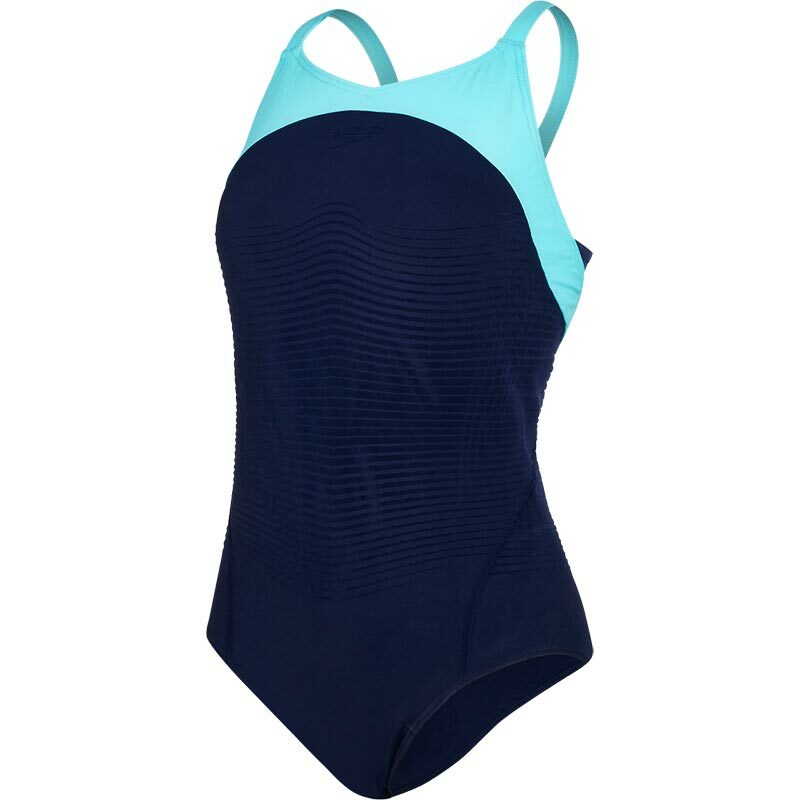 Featuring Speedo's brand new Power Form Compression technology, the Speedo Fit Power Form XBack Swimsuit is an innovative swimsuit that helps you improve your body position in the water, so you can swim faster for longer. Internal power mesh panels encourage key muscle awareness and promotes better body positioning whilst you swim. Engineered for training, this swimsuit is made from Endurance+ fabric which is 100% chlorine resistant and designed to last for longer. The suit is a little small on top; when I'm actually swimming the sides of my bust "pop" out. Go a for a size larger than usual if you have a bust.